Off Pitch Hype Train: It’s a Book! I am ecstatic to announce the delivery of my very first book baby yesterday afternoon! I hope I didn’t scare the delivery man too much as I raced out my front (I fixed it. Thanks, Dad.) door and bounced up and down while I waited for him to fish the package from the back of his truck. I can’t express the feeling of pure joy and accomplishment at finally getting to hold my book baby in my hands. I’m so in love. There was no end of excitement yesterday, as the Off Pitch bookmarks, the final bit of swag I was waiting for, also arrived! 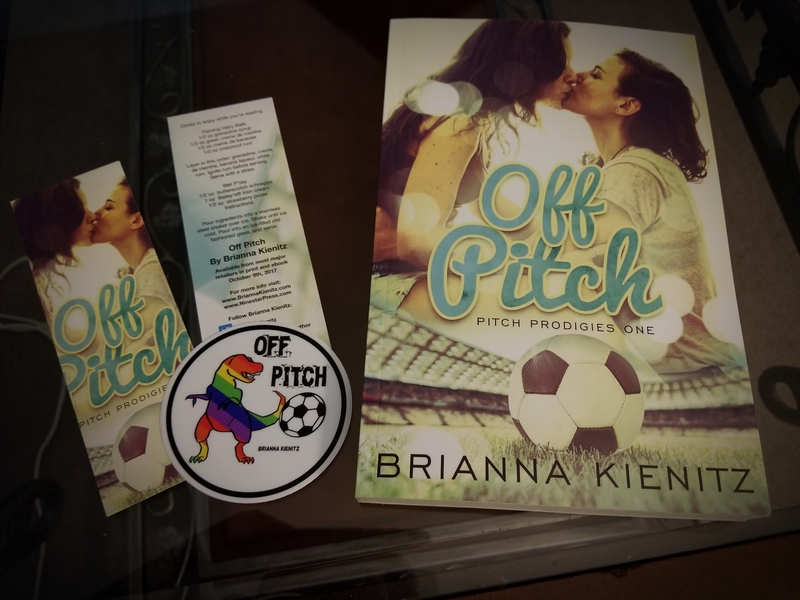 If I owe you a hard copy of Off Pitch (ebook winners will receive their copies after release day), or you’ve signed up for the Off Pitch Book Birthday Party already, your goodies are on their way to your beautiful hands! 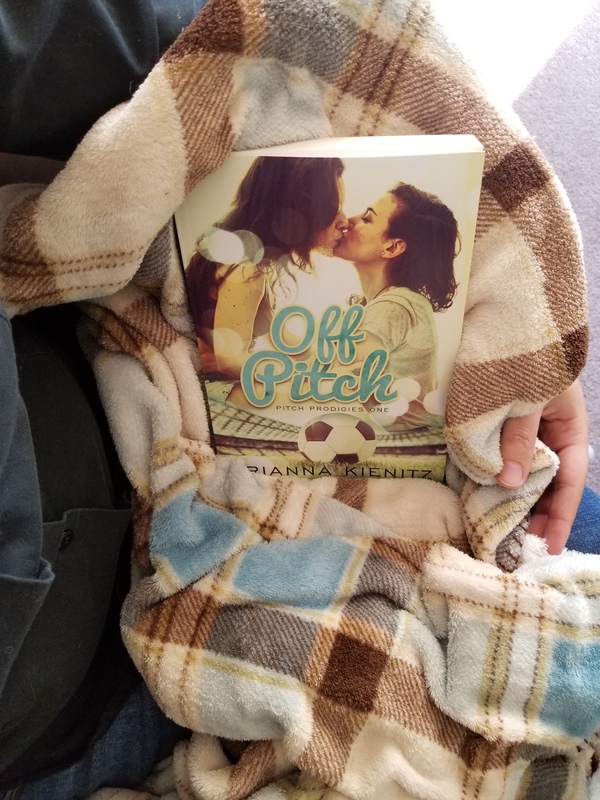 Speaking of the upcoming book birthday party, there’s still plenty of time to RSVP to get free swag and a chance to win your very own copy of Off Pitch! Read my previous blog post for more details and follow the link there to fill out your simple RSVP by October 7th. If you don’t like parties and free stuff, you can head over to the Ninestar Press website to pre-order Off Pitch for 30% off when you use the code PREORDER. If books, swag, and sending out large piles of mail wasn’t exciting enough, I have to give a nod one of my favorite stories. The Star and the Ocean by Maggie Derrick received a Watty Award yesterday. It was one of 50 stories chosen from over 200,000 for the highest honor awarded on Wattpad. If you haven’t read it, it’s one of my all-time favorites and I can’t recommend it enough (not to mention you can read it for free until it’s published). May is an outsider seeking redemption on her island home. Em is an alluring stranger with an incredible secret. When May discovers Em washed up on the beach, it sets in motion the unraveling of everything she thought she wanted. Will she keep trying to find acceptance in the only place she’s ever known? Or will she embrace the dangerous new world waiting for them both beyond the shores of Hoku? The announcement couldn’t have come at a better time, as we were also celebrating May’s birthday! Happy Birthday, May, and congratulations, Maggie! Okay, that’s enough excitement for now. Go forth and enjoy your weekend. Don’t forget to follow me on Twitter, Facebook, and my under-construction Instagram (beekienitz) and Tumblr (Brianna Kienitz) pages to keep up with all the news, ramblings, and giveaways!